Welcome home to Bella Sole, a pristine boating community with an exclusive island feel, surrounded on both sides by saltwater canals. Watch dolphins and manatees playing from dock with boat lift. Enjoy the sunsets from your heated salt water pool & spa. 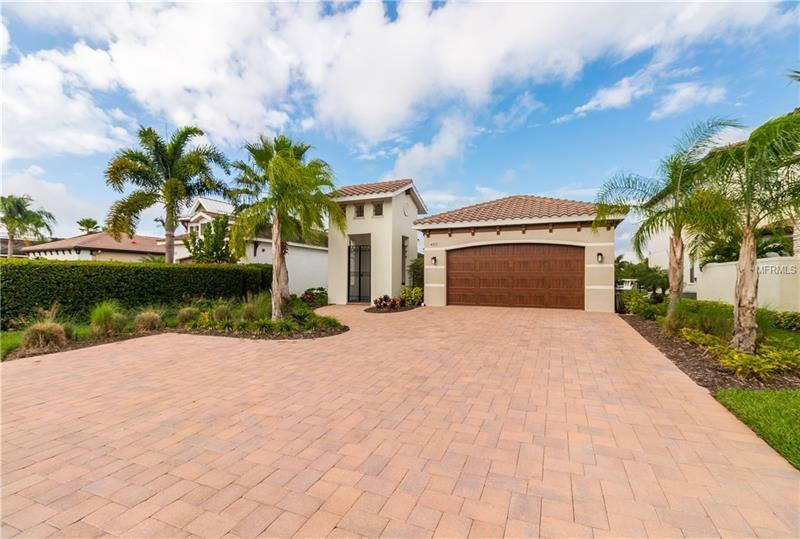 Upon entering this beautiful West Indies inspired home through your gated courtyard garden, you’ll soon discover that this 4 bed 3 bath home possess over $100k in upgrades and options! Designer touches include plantation shutters, sliding barn doors, wood style tile flooring, free-standing pedestal master bath tub, gourmet kitchen, and upgraded cabinetry with granite counter tops. This unique floor plan provides stunning views of the open land on Hawk Island thru pocket sliders. The home is complete with an extended lanai, full pool bath and outdoor kitchen with sink, refrigerator, keg-orator and built-in grill for cooking your fresh catch of the day. So you want to dine out? Great, it’s a short boat trip to many restaurants along the River, Bay or Gulf. This home is perfect for a family or as a vacation home with a custom Jack and Jill bath, giving you 3 en suites, instant hot water heater, upgraded SS appliances, washer/gas dryer and extended paver driveway with space for 8 cars plus lots of big boy toys in the over-sized garage with workshop area. Boaters, you would also own the 109’+ waterfront in front of the house too. How sweet, his and her canals. Drop anchor here and live the tropical life of your dreams. Call us today for your personal viewing.